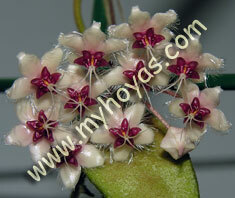 This hoya comes from Thailand and it was published in 1940. In 1999 Torill Nyhuus, Ed Gilding and Ted Green collected Hoya flagellata TN99-024 on Mt Jearai. 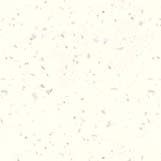 David Liddle also had this clone and gave it number IML 1681. Hoya flagellata is quite similar to Hoya caudata. This hoya is rather easy to grow, but it doesn't grow too fast so it's easy to keep on a smaller support. The hard leaves are similar to Hoya caudata, but has a lot less spots. They can become more or less red if grown in strong light and they are 3 - 7 cm long and 2 - 3 cm wide.